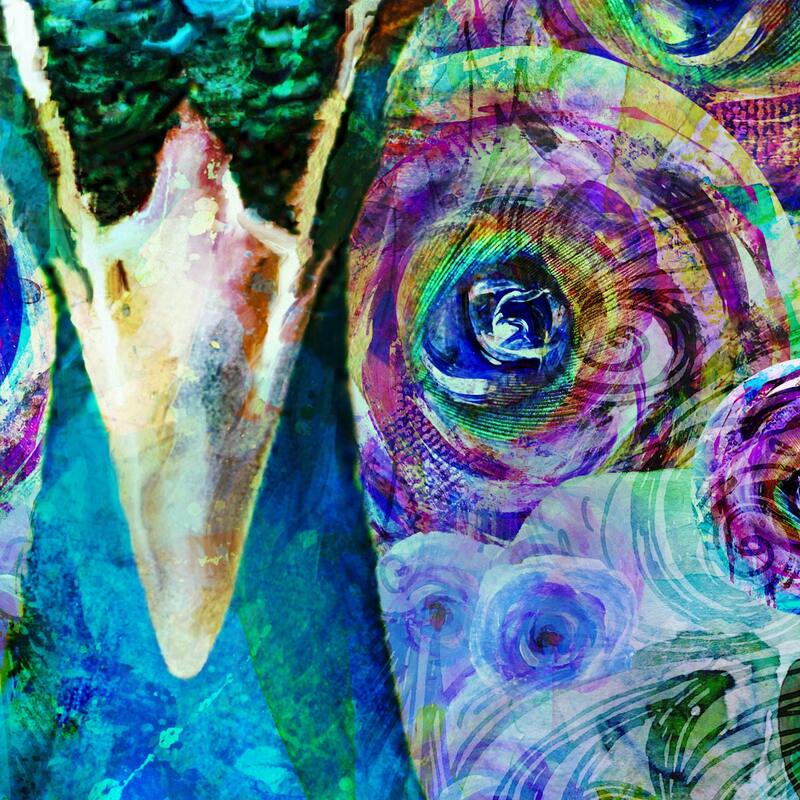 A stunning Peacock is uniquely layered with a mixture of painting, photography, and illustration. 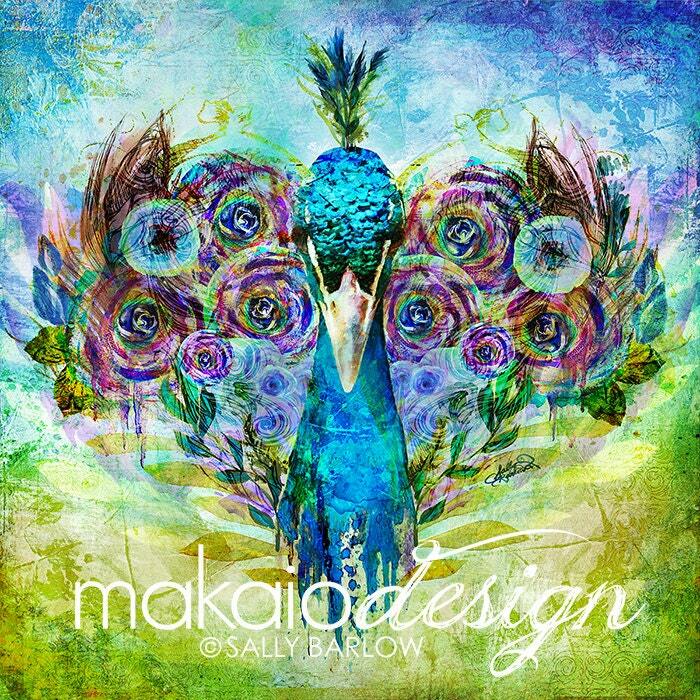 . . a bold & trendy color palette to bring a splash of color into any room. 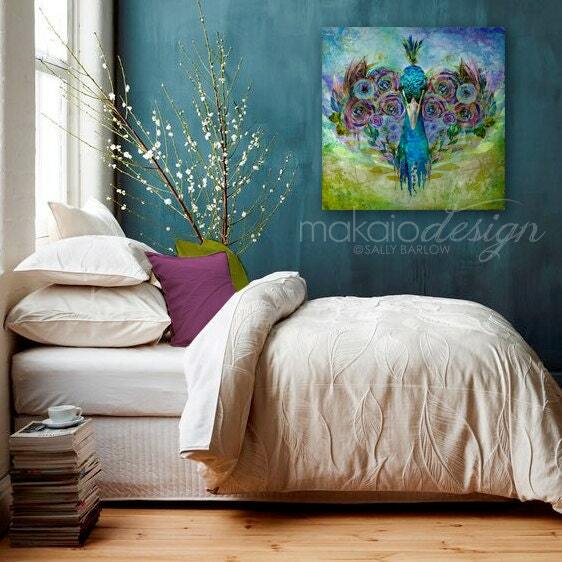 Premium printed gallery wrapped canvas, 1.25" depth, solid backing, ready to hang hardware. Eight-Color pigment based inks for exceptional fade resistance. Edges of canvas will be solid black. Finished off with a clear acrylic coating, providing a very scratch resistant protective layer with a satin luster. 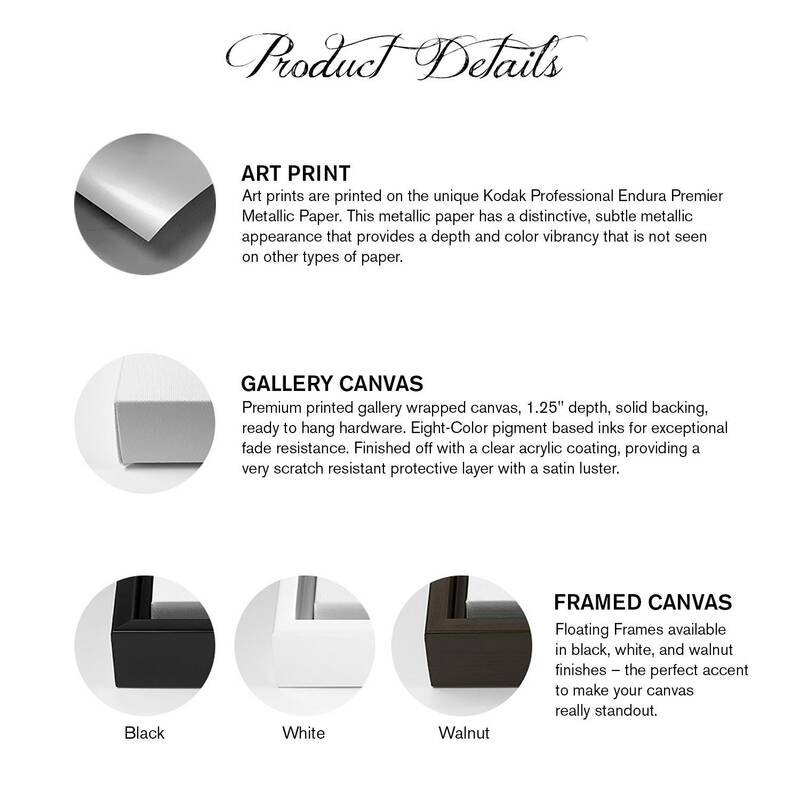 **If choosing a framed canvas, please note what color of frame you want: Dark Walnut, White, or Black. A Genuine Artist Canvas Print framed with a recycled material that makes them not only environmentally friendly, but solid, durable, and lightweight. The sizes listed are for the canvases themselves. The frames add approximately 3/4" on all sides (3/8" for gap between the canvas and the frame, and 3/8" for the outward facing frame edge). For example, a 12"x12" canvas gallery wrap will be approximately 13 1/2" x 13 1/2" including the frame. The depth of our frames is 1 3/4" total.